Parisians usually do not believe in the big breakfast concept that Americans do. The main heavy and multi course meals in Paris are lunch and dinner. Parisians prefer to keep their breakfast simple and humble. A most common Paris breakfast includes a platter of Croissants, tartine, some fruits or fruit juice and coffee with milk. Croissants are bread rolls, a bit buttery or can be flaky pastries too. Tartines are French bread thin sliced lengthwise and served with butter and jam. A cup of coffee with milk better known as ‘cafe creme’ in French is a must in the menu for breakfast. A cup of coffee in breakfast makes the day for most in Paris. The most preferred traditional destination for breakfast is a sidewalk cafe. It is really a pleasure to sip into a cup of coffee in any of the cafes in Paris especially in the morning. Parisians think it an appropriate way of starting a day. Even small bakeries offer simple and palatable breakfasts. The costs are moderate and budget friendly. Some do have tables. One big advantage of bakeries is that you can bring your coffee or else they may also serve you. Posh cafes may dig a big hole in your pockets but such is not the case with bakeries. Pain au chocolat with croissant is an ideal combination and lip smacking too. Le Pick Clops is a good place that offers sumptuous breakfast. For all those who are used to start the day with heavy breakfasts, Paris will not disappoint you. There are omelettes of different kinds, both egg and meat. A few Paris cafes also offer mid-morning brunch. A menu of top ten breakfast delicacies available in Paris will surely include Croissant, Pain au Chocolat, Pain aux raisins, Pain Suisse, Broiche, Palmier, Croissant aux abricots and chouquettes. Croissants are the king of French breakfast. It can be served plain or fried in butter when it is called ‘croissant au beurre’. Pain au Chocolat is meant for Sunday treats and is a hit among the kids. Pain aux raisins are pastry like items creamy inside and sprinkled with raisins. Pain Suisse is one of the most popular items. It has cream on pastry base stuffed with chocolate nuggets. Broiche makes for a traditional item. It has a classic look with its small delicate beautifully curved shapes. If you too conscious of your daily calorie intake and are looking for less-calorie staffs the brochie fits your bill. You can select between the humble plain ones and those with toppings of crunchy sugar. Palmier is flat, large structured with a crunchy feeling and Croissant aux abricots is sweet and fruity, a delectable combination for those with a sweet tooth. However, a good way of saving money at least in your breakfasts is to buy some croissants from any bakery carry ‘coffee a porter’, take a seat on bench facing the Seine and enjoy the quaint, serene ambience with the morning freshness in the air. Paris is the city of fashion, of food and of eye-catching commodities. There is nothing cheap or loud about the wares that are sold in the city. People from all corners of the earth shop in Paris and are proud of it. However, everything comes at a price! There is nothing as disheartening as not being able to afford the article you fancy because you are short of a few Francs. This is where the Summer Sales can help you. You can literally shop until you drop at the summer sales in Paris which lasts for an entire month from June to July. The best part of the sales is during its end. It is actually possible to collect designer wear and other collectibles at hugely discounted prices, particularly when the month long summer sales come to a close. The city of Paris assumes a bright and expectant air from 29 June to 30 July and the crowds simply surge up during the end of the Summer Sale or Soldes. Department stores, boutiques, and even hardware shops slash the prices of the unsold stocks from previous year and the buyers keep on shopping in earnest. Checking out the price tags, a day early is the name of the game. Most Parisians are a pro at it and will not hesitate to try out 2, 3, or even a dozen dresses if the price tag shows a discount of about 75%. The end of the summer soldes is also a time of rush and you may be dismayed to find yourself almost in a stampede. The best way to get a bargain is to shop during weekdays or at lunch times in order to avoid the rush. However, the city dweller of Paris usually takes a day off from work in order to browse through the summer sale offerings. While it might be best to compare the prices before buying, the most wise move would be to buy just before the end of the summer sale. This will help you to make a kill as the second discount on the yet to be sold items make them surprisingly affordable. The Soldes or the sales in the summer are the best time to buy clothes, household goods, furniture, toys, electronics goods and even those rare books that you had been eyeing for a long time. Carry a map of the city and visit one shopping area per day. This will help you to take advantage of the end of summer sale season in Paris and save quite a bit of your hard earned money in the bargain. 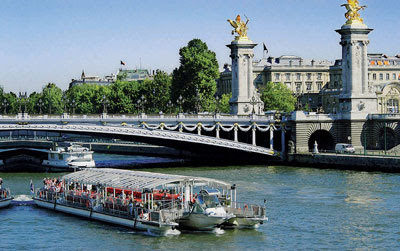 Paris is also known as “the city of lights” and is home to many festivals organized throughout the year. Although there are many festivals that are held here, but here’s a list of ten major festivals that you should not miss at any cost. Bastille Day or National Day is celebrated on 14th July and symbolizes the 1789 uprising when the entire nation stormed into the Bastille fortress-prison. It starts off with a traditional military parade in front of government dignitaries like President and other officials. After that, the citizens party throughout the day and have a gala time. One of the most popular rock festivals in the world is held here in Paris and is called the Rock en Seine. The festival is held at the park of Château de Saint-Cloud just outside the city and is held in true Parisian style. This is a 3-day festival and garners huge crowd from all across the world. Best of the rock bands yearn to perform on this stage. Fete de la Musique is held on 21st June and is considered to be one of the most sought after festivals in Paris. It is a street music festival and hundreds of musicians gather on the streets to entertain the public. Everything from jazz to rock and hip-hop get played over here. Le Tour de France is the foremost cycling event in the world. The love for the sport and the magnificent landscape offers a great combination of sport and visual treat to a tourist. This is conducted in the month of July and covers around 3,500 kms of breathtaking coverage. Paris Gay Pride has gained international prominence because of the festivity surrounding it. It does not resemble a mere political demonstration but a huge conundrum of joy, color and celebration on the streets of the city. Nuit Blanche was first launched in 2002 and celebrates the rise of art and culture in Paris. Countless museums and galleries throw open their doors to the frantic tourists in a bid to display the rich art and cultural life of Paris. Paris has a huge thriving Chinese population and hence the celebration of the Chinese New Year is an event to watch. Paris Plages is a summer event wherein three venues within the city are decked up as beaches with different themes. Gradually, this even has found a lot of takers as it entertains people from all ages and walks of life. Paris Quartier d’Eté or Paris Summer Arts Festival happens between July 14th and August 11th wherein the streets get covered by people displaying various forms of arts, music, theatre and drama. Public is treated to some quality entertainment during this period. Every April, the Paris marathon is held where more than 35,000 runners participate to make it one of the liveliest events in the calendar of the city. The sheer enthusiasm that bounds the city is worth a trip and the beautiful scenery surrounding the track just adds to the attractiveness of the event. There are more events and festivals that ensure the pole position of Paris as the tourist destination. The above mentioned ones are the most entertaining ones and will promise you a never-before experience that will keep you yearning for more.